*Coupon required. One sandwich per person, sandwich cannot exceed $13.99 & this offer cannot be combined with another offer. 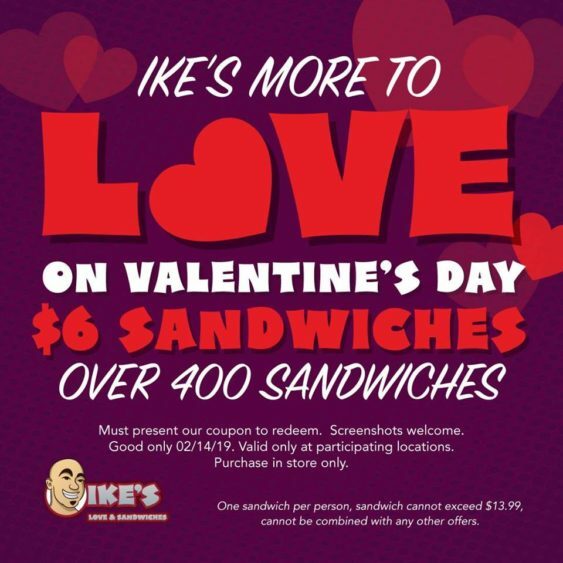 This Valentine’s Day, Ike’s Sandwiches is spreading the love by offering $6 sandwiches. Why celebrate with flowers this holiday when you can satisfy your taste buds the Ike’s way? There’s over 500 menu offerings to choose from. Valid 2/14/19 only – Guest must show this coupon to redeem the offer in store. 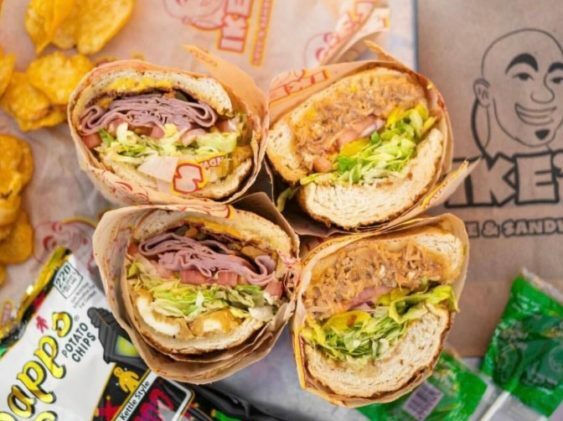 Ike’s is located all over the Bay Area with locations in Tenderloin (Polk St.), Daly City, Oakland, Berkeley, Concord, Walnut Creek, Cupertino, Danville, Dublin, Emeryville, Palo Alto, San Jose, San Ramon, Santa Clara, Stanford, and Burlingame. View hours and locations. One sandwich per person, sandwich cannot exceed $13.99 & this offer cannot be combined with another offer.